From Oscar®-nominated director Dan Krauss comes the story of Adam Winfield, a young soldier in Afghanistan who attempted to alert the military to horrific atrocities being committed by U.S. soldiers, and who then himself became a target of one of the largest war crimes investigations in U.S. history. 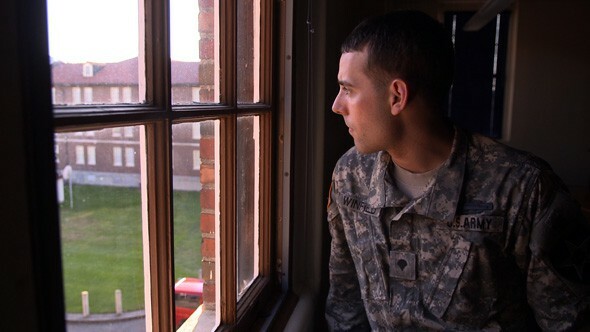 With extraordinary access to the soldiers who were convicted and the evidence used against them, this film takes us inside a story that was largely impenetrable to the media. The film dips in and out of Adam Winfield’s unfolding legal story, to reveal piece-by-piece the increasingly devastating narrative in Afghanistan. With an astonishing degree of candor and articulateness, these soldiers describe a series of increasingly weighty psychological quagmires, each emblemizing the hazy morality of war. "The most daring documentary of the year so far...a stunning, powerful film that boldly complicates the conversation around America's wars"
"After" is a film about contemporary life in Auschwitz.